The nation's largest group of Christian churches on Wednesday called for the withdrawal of Brett Kavanaugh's nomination for the Supreme Court. The National Council of Churches, which represents 38 denominations in the US, wrote in a statement on their website that they believe Kavanaugh has "disqualified himself from this lifetime appointment and must step aside immediately." The statement cited a number of reasons for their demand, including Kavanaugh's behavior during his recent testimony in front of the Senate Judiciary Committee on sexual assault allegations against him. "Judge Kavanaugh exhibited extreme partisan bias and disrespect towards certain members of the committee and thereby demonstrated that he possesses neither the temperament nor the character essential for a member of the highest court in our nation," the statement read. 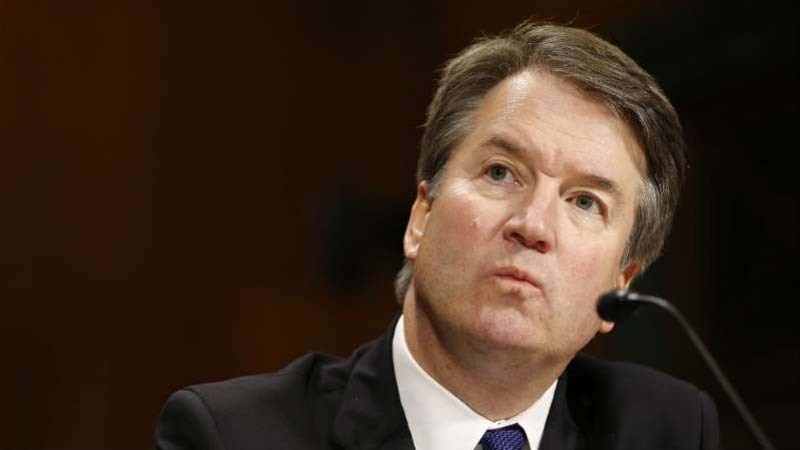 The National Council of Churches alleged that Kavanaugh's testimony included "several misstatements and some outright falsehoods," including some related to Christine Blasey Ford's accusation that Kavanaugh sexually assaulted her at a high school party in the 1980s. The group also pointed to what they called Kavanaugh's "troubling" judicial and political record on some civil rights issues. "Judge Kavanaugh's extensive judicial and political record is troubling with regard to issues of voting rights, racial and gender justice, health care, the rights of people with disabilities, and environmental protections," they wrote. "This leads us to believe that he cannot be an impartial justice in cases that are sure to come before him at the Court." The statement comes as the future of Kavanaugh's confirmation is called into question amid the firestorm surrounding Ford's allegation. Republican senators said they soon expect to receive the results of the FBI's reopened background investigation into Kavanaugh, though a number of witnesses, including Ford herself, say they have yet to be contacted for an interview. Kavanaugh has denied the allegation, as well as aa number of other misconduct allegations that have surfaced since Ford came forward.